The Legend of Zelda Symphony of The Goddesses – Sulyma Productions Inc.
As part of The Legend of Zelda: Symphony of the Goddesses 2013 world tour, the acclaimed concert will visit the Northern Alberta Jubilee Auditorium in Edmonton for the first time ever on Saturday, October 12. The Legend of Zelda™ has sold over 62 million copies and has entertained generations with more than 25 years of magic and adventure. Witness the video game series come to life as this dynamic cinematic video presentation is synced to Zelda’s sensational, action-packed music – performed live by a live symphony orchestra. Showcasing the work of Nintendo composer and sound director Koji Kondo, The Legend of Zelda: Symphony of the Goddesses is the first ever video game themed concert to feature a complete four movement symphony and is an event gamers won’t want to miss. Based on one of the most popular and beloved video game series of all time, the tour – which has been hailed as a modern classic – features live orchestral performances of theme music from Nintendo’s The Legend of Zelda franchise. The name “Symphony of the Goddesses” refers not only to the concert program but also to the four-movement symphony, recounting classic story lines from The Legend of Zelda: Ocarina of Time, The Legend of Zelda: The Wind Waker, The Legend of Zelda: Twilight Princess, and The Legend of Zelda: A Link to the Past. Tickets for The Legend of Zelda: Symphony of the Goddesses vary in range depending on performance, seat location, and date of purchase and start at $35.00 plus applicable service fees. Tickets are available at all Ticketmaster locations, at www.ticketmaster.ca or call toll-free 1.855.985.5000. Experience The Legend of Zelda: Symphony of the Goddesses as never before with a VIP package. 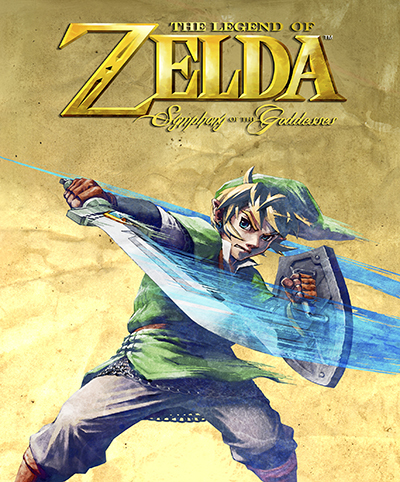 VIP Package includes: One (1) Premium Top price Ticket in a Preferred Location; Private Meet and Greet with the Producers/Creative Team behind the show; One (1) Numbered Limited Edition Poster Signed by the Creative Team of The Legend of Zelda: Symphony of the Goddesses. VIP packages are also available via Ticketmaster.